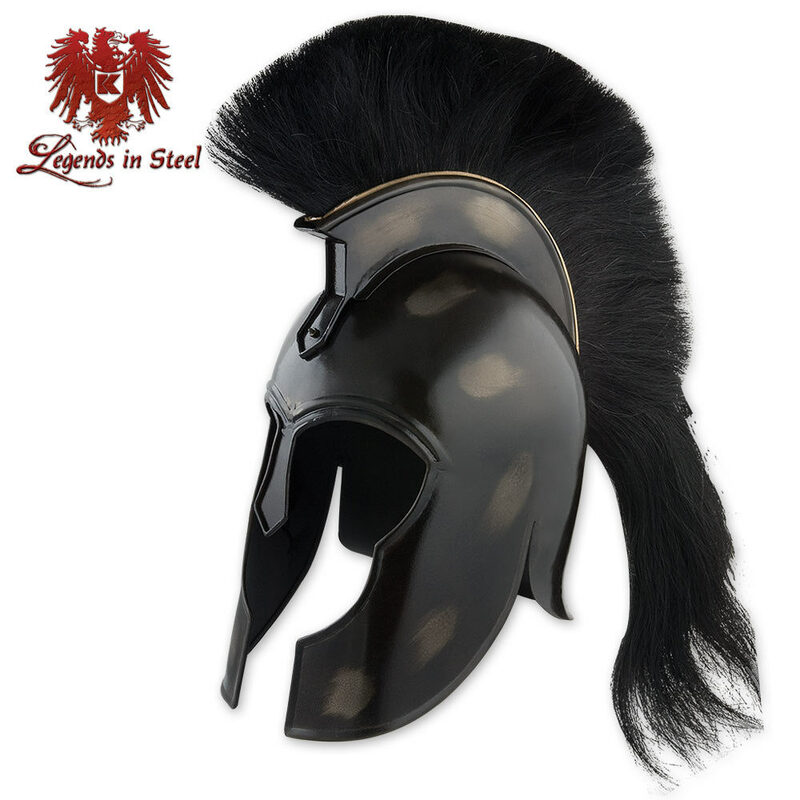 Wear the helmet of Achilles, ancient Greece"s greatest warrior and leader of the fierce Myrmidons! 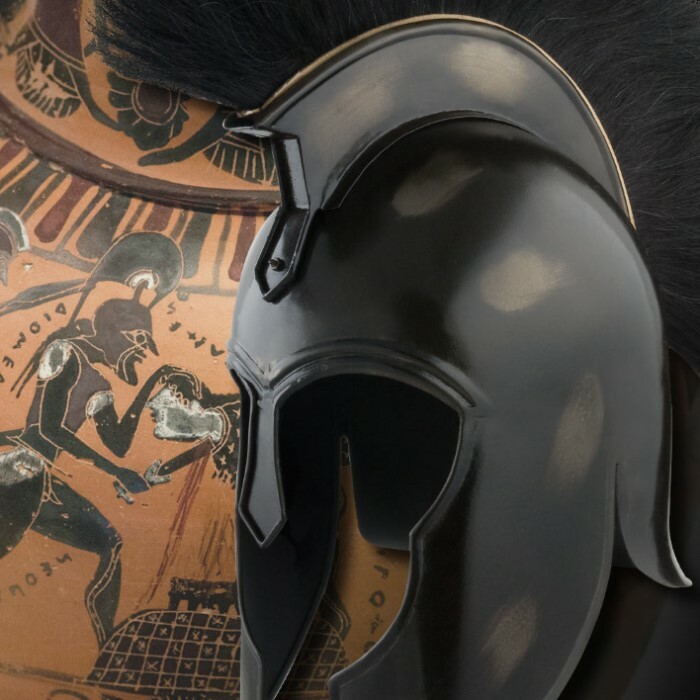 This ready-to-wear helmet is crafted from an actual design used in the Greek city-state of Corinth. This excellent replica is hand made from carbon steel with a black finish. This item includes a removable black hair crest. This is a fantastic item for historical re-enactors or serious collectors!